A resolutely contemporary atmosphere, a magical place. 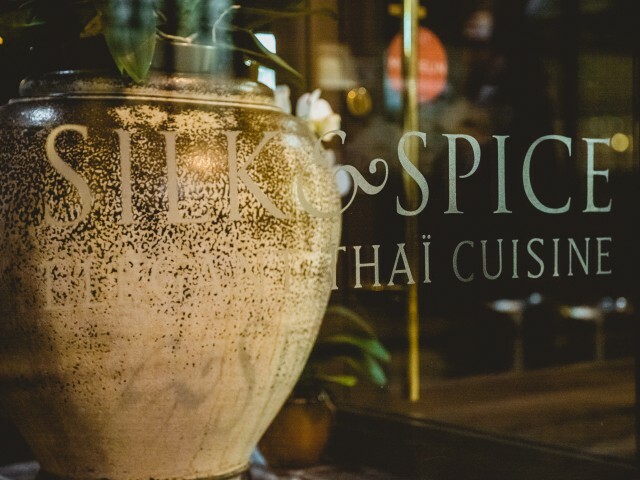 In the heart of the Montorgueil district in Paris and near 3 major museums (Louvre, Pompidou and Picasso), SILK & SPICE is a unique restaurant, which offers authentic and rare Thai specialties. Her Chef Ms. Sianghen Yuphen reveals all the richness of Thai culinary art. The discovery of this place invites to a distant trip to the Kingdom of Siam. Inside this magical space, a real staging is revealed; orchids are placed on tables sublimated by selected lighting. Thus, the flower becomes an authentic object of art. which lies between art and gastronomy, visual composition and culinary creation. SILK & SPICE allows you to enjoy a completed work.